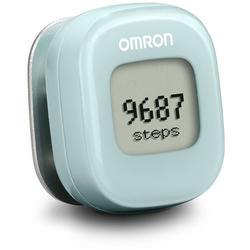 Our most advanced tracker yet, the Omron Alvita Wireless Activity Tracker (HJ-327T) is petite yet powerful. It allows you to transfer your fitness data wirelessly to your smartphone with our free Omron Fitness app. Featuring Bluetooth Smart technology, the Alvita Wireless Tracker records regular steps, aerobic steps, distance and calories burned so you can set realistic goals and check progress along the way.